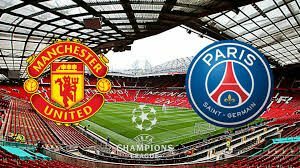 Manchester United faces PSG in a first Champions League 1/8-final between these two teams at the Old Trafford. This game will be played on Tuesday night. Let’s have a look at it. Manchester United reached the knockout phase of the tournament, finishing 2nd in Group H with 10 points. This group was won by Juventus. United finished their campaign in the group stage with 3 wins, 1 draw and 2 defeats. Now a lot of things are different for United. Jose Mourinho was sacked as a manager and replaced by Ole Gunnar Solskjaer. The Norwegian tactician is making a huge impression so far. Under his management, Manchester United won almost all of its games in all competitions, returning to the Top 4 of the Premier League. The team is still unbeaten under the management of Solskjaer. The best news for United is the fact that the team’s main players are once again looking inspired, after being pretty quiet under the management of Mourinho. PSG reached the 1/8-finals with winning Group C of the competition, finishing ahead of Liverpool and Napoli. In the group stage PSG suffered only one defeat, losing against another English team – Liverpool. 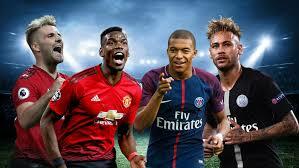 In the French Ligue 1 the Parisians do not have any problems, leading the league with some good advantage in front of the 2nd team in the table. It’s clear that they will once again become champions of France. The big challenge ahead of them remains winning the Champions League – this is PSG’s biggest dream at this moment. PSG have some problems before the visit to Old Trafford, though. Main players like Neymar, Edinson Cavani and Marco Veratti are missing the match because of injuries. These are not good news for the manager Thomas Tuchel. These are our thoughts about the Champions League clash between Manchester United and PSG in the Champions League.